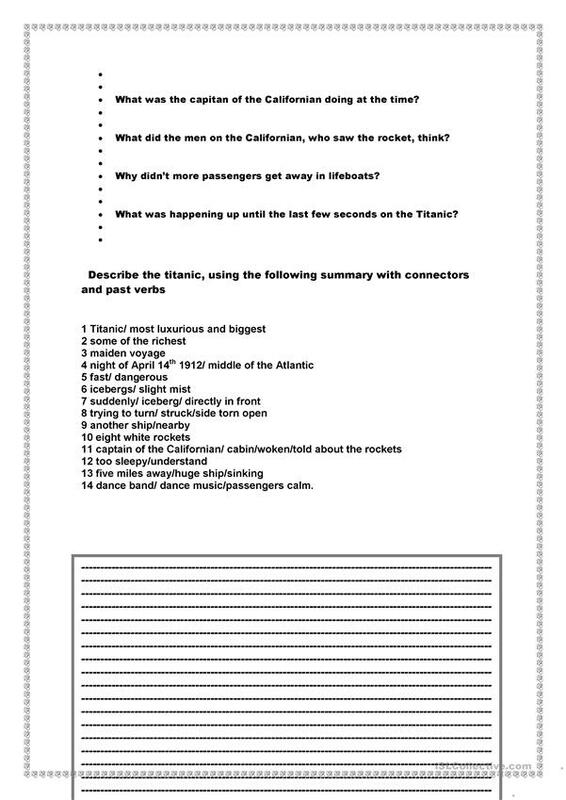 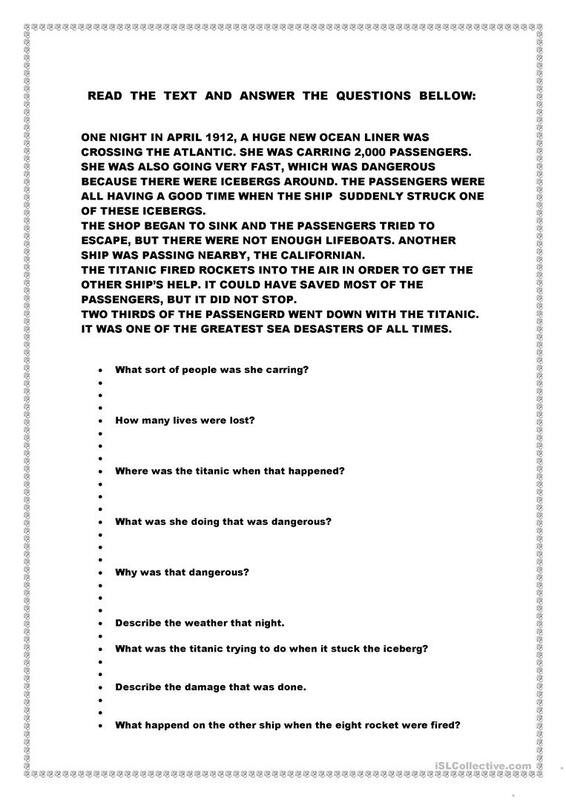 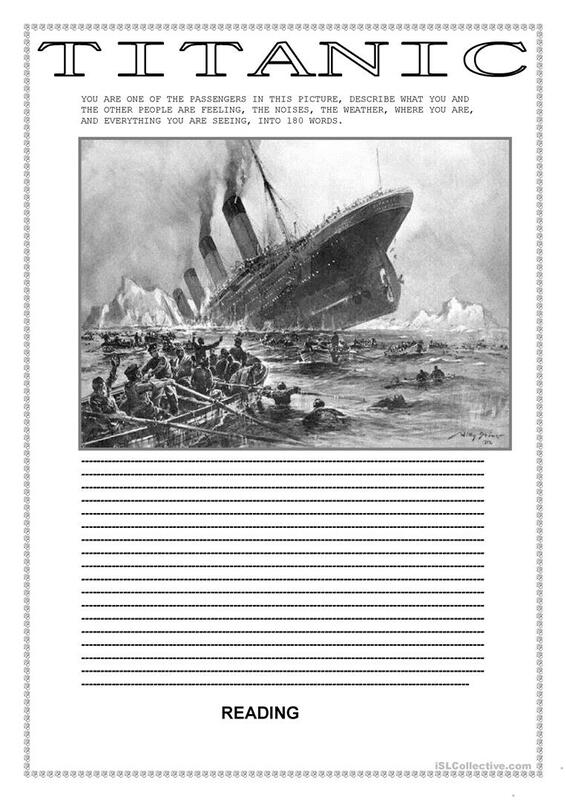 SEVERAL EXERCISES ABOUT THE TITANIC. The above downloadable printable is recommended for high school students at Intermediate (B1) level. It can be used for enhancing your class' Writing skills.